Not all our posts will be about this and we have had some discussion about what "cranky" means and interpreted it in our own way. 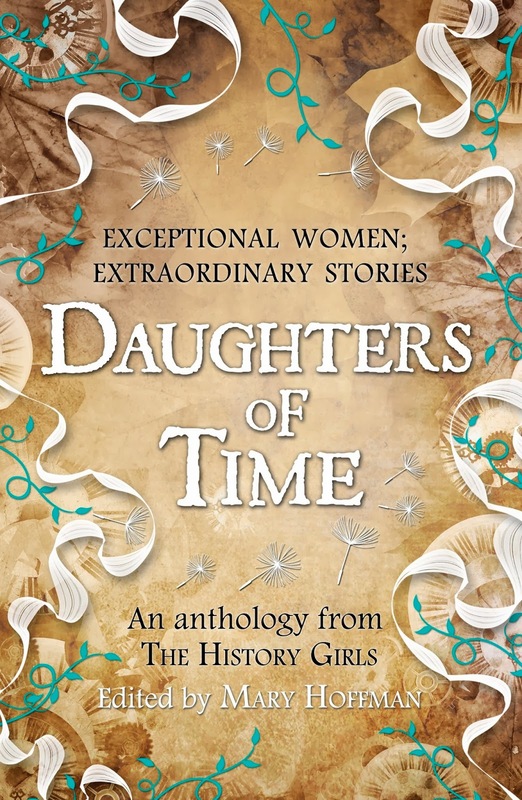 It links in well with our launch of Daughters of Time, which I wrote about on the first day of the year. That contains thirteen stories by members of the blog suitable for young readers of nine years and upwards, about women in English history, some whom might have been considered "cranky" in their time according to one or other definition. My own choice, Lady Jane Grey, was not, in my opinion the helpless pawn of ambitious men and their political manoeuvrings. She was stubborn as a mule. After all, she could have saved her life by converting to Mary Tudor's religion but refused to - a rejection of clemency which saw her executed in the Tower of London. Other contributors will write about their own "daughter of time" this month and next. And four of us will be appearing at the Oxford Literary Festival to talk about the women in our stories, including Mary Wollstonecraft, Emily Davison and the protesters in the Peace Camp at Greenham Common. If you're in the area, do make a date for 2pm on Sunday 30th March. “All women together ought to let flowers fall upon the tomb of Aphra Behn, for it was she who earned them the right to speak their minds.” (A Room of one's own) Seven History Girls came here with our publishers from Templar Books, who had organised the bouquet. And we are pretty good at speaking our minds. 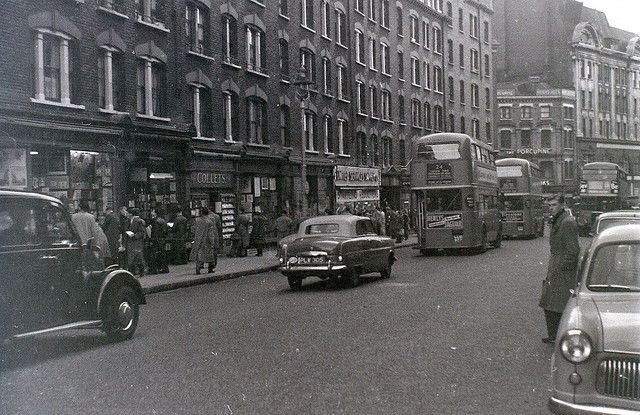 But here I'd like to write about my own "cranky lady'" Eva Reckitt, in whose house I lived for four and a half years and who was a very influential person in my life. Obviously in that time I got to know her quite well, although she was eighty when I met her and I was twenty-five. But when I searched the Net for her there was only one rather unflattering photograph taken in her youth and some stern reports on how her phones were tapped and an official eye kept on her in the '20s because of her political affiliation. For Eva was that oddity: a communist and a wealthy woman. Her fortune came from the family firm that made Reckitt's Blue - a phenomenally successful wash day aid used in lots of homes. Her older brother Maurice was an Anglo-Catholic writer and croquet player; her younger brother Geoffrey, known as "Bunny", was I think already dead when I met Eva. She was born in 1890 and never married, though she spoke very warmly of the Socialist and academic G.D.H. Cole. Cole was married and indeed co-wrote many detective novels with his wife, Margaret Postgate. But I think Eva carried a bit of a torch for him. She was also on the executive of the LRD (Labour Research Department) and she was still going to meetings there when I knew her in the '70s. Her great friend was Olive Parsons and they shared a weekend cottage in Sussex. Olive, another committed communist and by then a widow, had also come under surveillance. Olive's daughter-in-law was the poet Patricia Beer, whom I met in Eva's house and liked very much. (I remember staying up all one night in Eva's house to read Mrs Beer's House, Patricia's account of her childhood in a family of Plymouth Brethren, which antedates Oranges are not the Only Fruit by seventeen years). So what was I doing in Eva Reckitt's house? I suppose I was her Companion. I got a free almost self-contained flat at the top of the house, in return for walking her cavalier King Charles spaniel night and morning and doing some gardening (always also rewarded with a curry lunch) and generally helping out. We had breakfast together every morning, sitting under her painting by Roger Fry of Mediterranean rooftops. after I had taken the dog for a walk on Hampstead Heath. Later my husband-to-be also moved in and we were married from there, Eva coming to our very small wedding in Cambridge in a cold and frosty December. I wrote my first book in her house. She taught me to have friends of all ages, so that one wouldn't outlive them all (Eva was 86 when she died, Olive 104). She introduced me to the Bookseller, a journal I still take every week, the Wine Society, William Morris - oh. so many things! Many a night she would invite me - later both of us - down to her living-room to watch a TV programme - a drama or an Arts documentary - while sharing a bottle of claret with her. We still use some of her phrases and made-up words (she always went to the "hairmonger" for instance). She was both a thorn in the side of the British establishment and the most wonderful friend and companion. When she died, she left me a bowl by Lalique, a walnut bureau and a marble tiger, given her on a trip to China. To my husband she left her Nonesuch Shakespeare in seven volumes. I loved her like a grandmother (I never knew a grandmother) and treasure her memory. So she is my "cranky lady," my woman of character, courage and commitment and one who inspired much change and development in me. This post is written as part of the Women's History Month Cranky Ladies of History blog tour. If you would like to read more about cranky ladies from the past, you might like to support the FableCroft Publishing Pozible campaign, crowd-funding an anthology of short stories about Cranky Ladies of History from all over the world. What a fascinating piece of autobiography, Mary. I love the story of your cranky lady and wish I could have met her. She sounds to have been a marvellous and inspiring example! You have told me some stories about her before, but it's lovely to have this extra insight. What treasured memories. I want to be like that when I'm old (except we'll be in Italy, of course). What a lovely story! It reads like something out of a novel - by Howard Spring, perhaps. She sounds like a remarkable person. Howard Spring! I loved his books. Must re-read some.